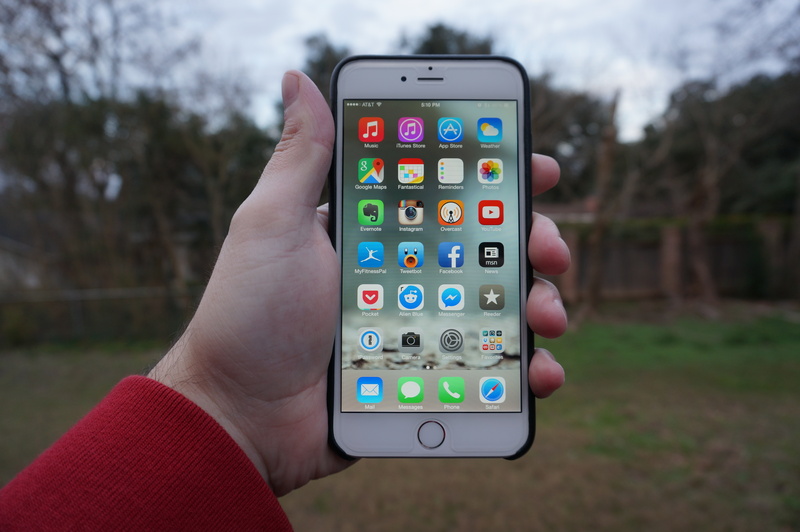 I got an iPhone 6 Plus over the weekend and wanted to give my first impressions of it. I got the AT&T silver 64gb model. I will hopefully have a more in-depth review after I have had it for a month or two. 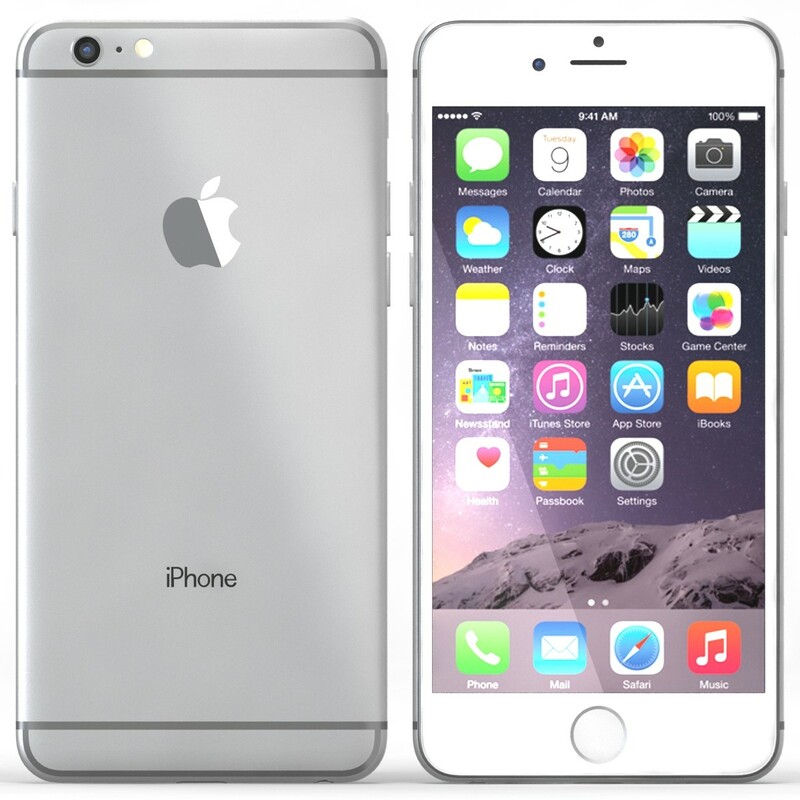 The iPhone 6 Plus is really big, especially coming from the 4″ iPhone 5S. It is fairly hard to use one-handed even though I have fairly large hands. That kinda bums me out but I love how much easier it is to type on it and the screen is just gorgeous. For me the positives of it being big outweigh the negatives but this is definitely not a phone for everyone. The battery life is really great. I used it heavily today at work. I listened to several podcasts, made a ton of phone calls, browsed the internet during lunch, & used bluetooth all day. It hasn’t been charged at all since 7:00 am. It is now 9:00pm and it is at 38% battery. This is much better than my 5S which struggled to get through a full day of even light use without needing to be recharged. The built in speaker is really loud. Yes, it’s still on the bottom of the phone and yes it is still mono but it is much better than the speaker on the 5S. I still want something like HTC BoomSound on the iPhone though! I thought I would have a hard time adjusting to the sleep/wake button being on the right side instead of on the top but I haven’t at all. It really does make more sense for it to be there than to have to reach all the way to the top. Touch ID seems to be even better. It was already working extremely well on my 5S but it has been perfect with the 6 Plus even right after washing my hands, which is when it usually fails for me. I don’t know if there is actually a better Touch ID sensor in this phone or if it is just because I had to retrain my fingerprints but it has been a pleasant surprise. The apps that I have that are not optimized for the new screen size do look pretty janky. Hopefully they will get updated soon. Overall I really like the iPhone 6 Plus. It is definitely different but I really think I made the right choice for me. I highly suggest that you spend some time with one in the store before buying though. The iPhone 6 may be the better choice for you. Things I haven’t got to try yet and hope to soon are how much better are the new cameras, the new 240fps slo-mo video, how well the M8 processor tracks stairs climbed, & lastly, Apple Pay. Sadly my local bank doesn’t support it yet so I will just have to dream of what it would be like to pay for McDonalds with my phone. I purchased an AT&T 16GB Space Gray iPhone 5S on launch day (September 20th 2013) and would like to post my thoughts on it. First off a little backstory. For the past 2 years I have been using an AT&T 16GB White iPhone 4S. It was my first smartphone and I loved it dearly. It had begun to slow down a little with iOS7 installed on it & it wasn’t getting quite the same battery life that it once had but other than that it was still a very usable phone. I have used my new 5S heavily in the last month and a half and have posted my thoughts below. The Design: The first thing I noticed with the 5S coming from my 4S is how much lighter the 5S is. This is because the iPhone 5 & 5S have aluminum (a-loo-minium) backs compared to the iPhone 4 & 4S, which had glass backs. I would describe the weight difference as feeling like the 5S’s battery had been removed from the phone. I am slightly torn on how I feel about this. On one hand I like that it is lighter and it is less likely that the back will break if it is dropped but on the other hand the glass back on the 4S made the phone feel a little more like a premium product to me. The 4S had a good heft to it. The screen is also really nice. I appreciate the jump from 3.5″ to 4″ even though that is still a relatively small screen size for phones these days. Other than that I love that it has a lightning connector instead of the old 30 pin dock connector. I really like the Space Gray color on the back. 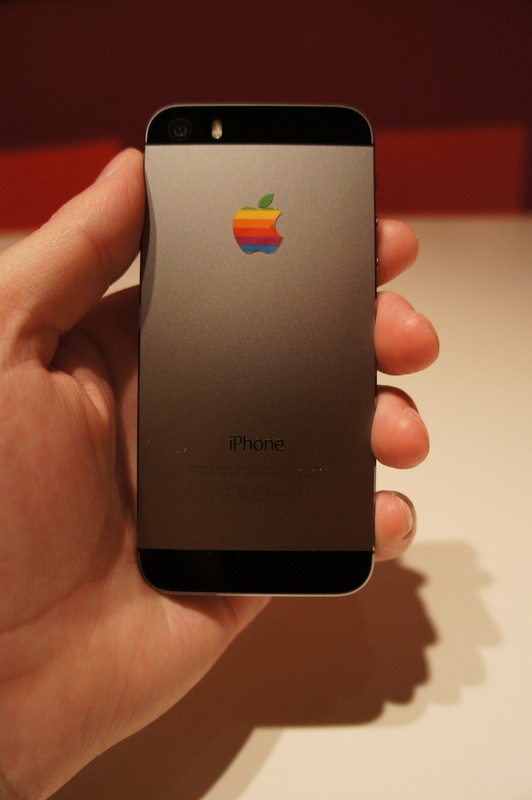 It is supposedly much more resistive to scratches and scuffing compared to the Slate Black colored back on the iPhone 5. The hardware buttons are fine but I do think the ring/silent switch on the left side is a little worse than the one that was on the iPhone 4 & 4S. It works fine but it’s just a little harder to toggle if you have fairly big fingers. One more note, I’m not sure but it seems like to me that the vibration on the 5S is also not quite as strong as it was on the 4 & 4S. The Camera: The camera is simply incredible on the iPhone 5S. Between the excellent low light performance, improved flash, burst mode shooting (10 photos per second! ), and slo-mo video recording, it is a very nice upgrade from my previous iPhone’s camera. I still use my Sony NEXc3 as much as I can but the iPhone 5S’s camera is very capable on it’s own. 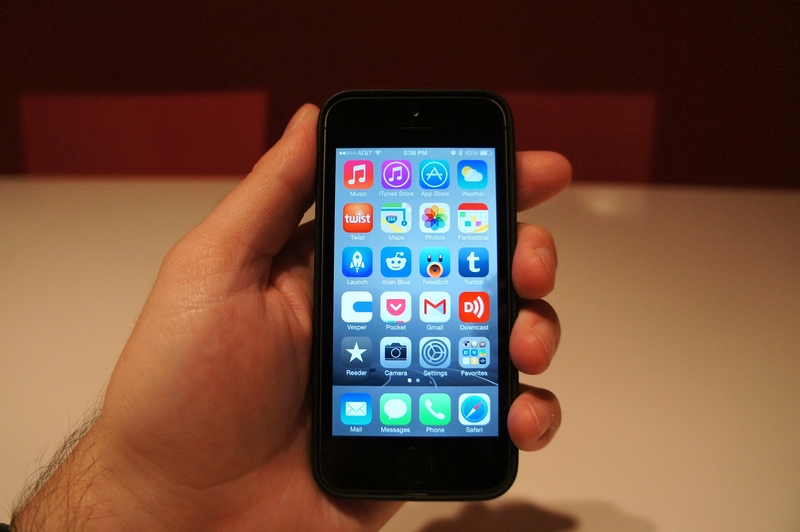 The A7 Chip: The iPhone 5S is powered by the first 64bit processor ever in a cell phone. 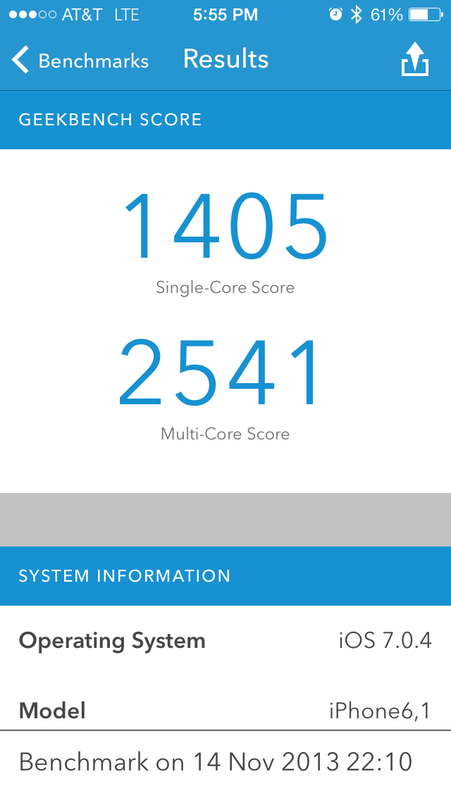 It is a substantial jump from the A5 chip that was in my iPhone 4S. I’m not going to go into detail about the processor, if you interested in more I would point you to the excellent AnandTech review. Simply put this phone is fast. Everything just loads so much faster than my last phone. Apps, webpages, emails, etc. all just load nearly instantly. I am very happy with the performance of this phone. Apple has upgraded all of their apps to 64bit and it shows. Once 3rd party developers start updating their apps to 64bit, we should see even more performance improvements. 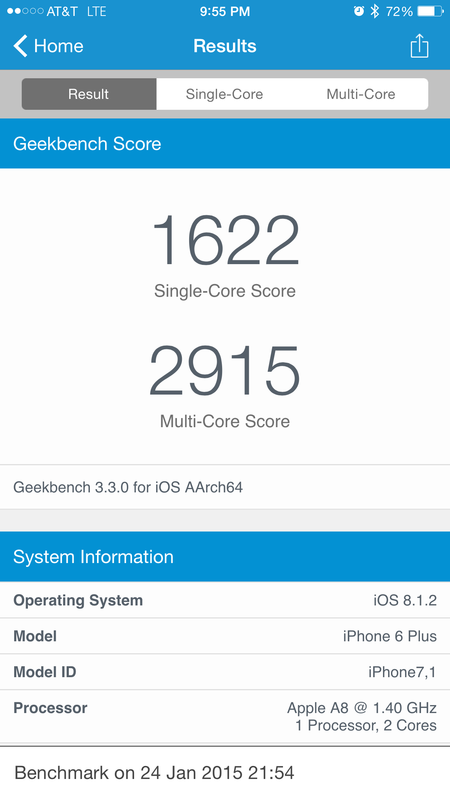 I ran the Geekbench 3 app and have posted my results below. The Touch ID Sensor: The iPhone 5S comes with Apple’s Touch ID Sensor which is built into the home button. This sensor allows you to simply place your finger on the home button to unlock your phone as well as to authorize purchases on the App Store. It is a feature that nobody actually needs but is very convenient & very cool. Also, when it works it is nearly instantaneous. It is a very “magical” feeling when it scans your fingerprint & unlocks your phone for you. I go to a lot of Apple related sites and by all accounts Touch ID seems to work 90% to 100% of the time for the vast majority of people. As for me, I had some trouble initially getting it to work reliably but it now works for me about 75% to 80% of the time. The LTE Speed: I know LTE is nothing new but this is my first phone that supports it. The AT&T speeds where I live are very good. I routinely see speeds of 15 Mbps up & 15 Mbps down. It is very nice to have speeds like that when you are out and about. The Battery Life: I am very satisfied with the battery life in the iPhone 5S. I charge it every night and it rarely is under 40% by the end of the day. The Software: The iPhone 5S comes with iOS7 installed. 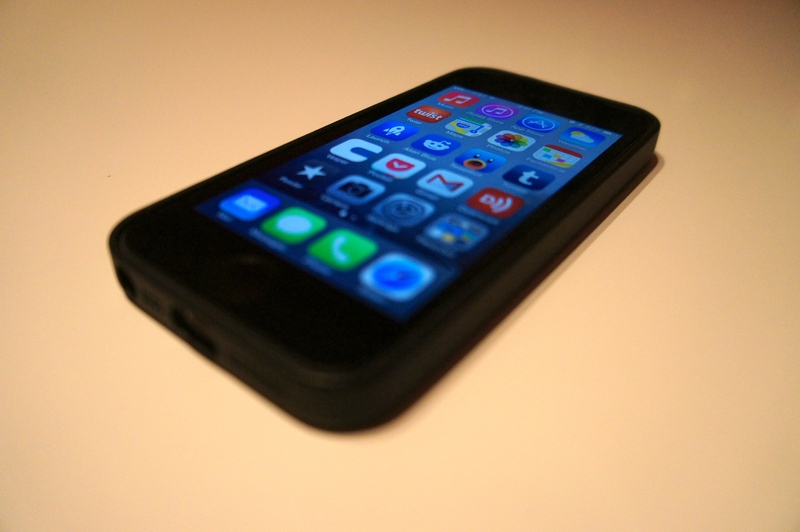 iOS 7 is a major departure from the previous iOS releases. It replaces the skeuomorphic designs of the previous OS’s with a clean, simple, & more modern look. For the most part I really like it. High points include the control center which comes up from the bottom, new voices and functionality for Siri, a much improved Weather app, FaceTime audio calls, & better multitasking. Overall I am very happy with iOS7. It’s not perfect but I like where Apple is going with it. In conclusion, I am very happy with the iPhone 5S and I wouldn’t hesitate to recommend it. Yes, it is not a perfect phone but between the improved camera, the A7 processor, great battery life, & most of all the incredible app ecosystem, I can’t think of a phone that I would rather have. It is the best iPhone yet.